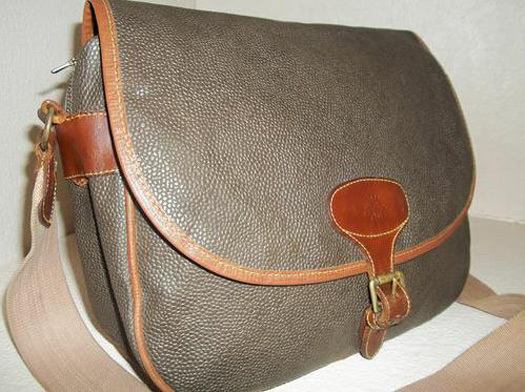 A Mulberry Scotchgrain sling bag (photo from the seller). I then ask myself — what happened? Just when I thought I had an internal arrangement with my spending, I went into a roll. For the record, this was the most number of times I’ve spent on a bag within the shortest amount of time. 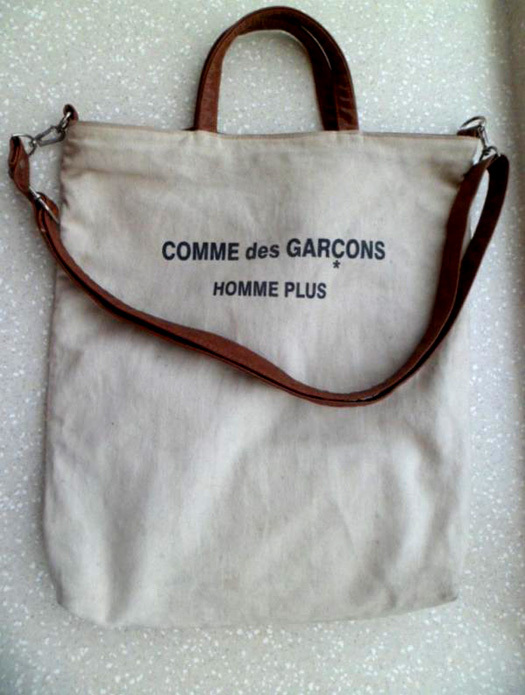 Well, I technically haven’t paid for the Comme des Garçons tote because I will be meeting with seller later around lunchtime before going to work. As for the Mulberry, I have paid earlier via GCash when Mon and I went to Gateway to watch Madagascar 3. The seller will ship it later and I will be getting it by Tuesday hopefully. Curiously, my nieces and nephews from my cousin were here earlier. One was a big Meryl Streep fan and was extremely delighted she can talk to somebody who can honestly understand her “The Devil Wears Prada” love. We put on the movie on the DVD player and I was good as put the TV on silent mode and dub the dialogue as I have mindlessly watched it a million times when doing things. I’ve never watched this movie with my family and they have never even seen it. Nate: Why do women need so many bags? Nate: You have one. You put all your junk in it, and that’s it. You’re done. Doug: Fashion is not about utility. An accessory is merely a piece of iconography used to express individual identity. Lilly: Oh! And it’s pretty. Touche! It is not limited to women though, some men have this tendency too. And amen to Doug. But there was a tingling sensation on my head and I can feel the eyes of my mother and Mon on my back. I was just suppressing my grin because I was definitely guilty of whatever contempt Nate has for people with several bags. Yesterday, I had a lot of time on my hands because even if school starts, I no longer have Saturday classes. I took the opportunity to sort my “stuff” and even photograph them to try some settings on the digital camera that Mon gave me last month and the tripod I bought last week. I was surprised on how “not few” my things are. I know they are not in a small number, that can be counted only on the ten the fingers of my hand — but it was a lot to say the least. I might post them here next. Meanwhile, all I can do is savor that happy feeling of anticipation for the arrival of my new things; before guilt kicks in after several hours. But I’ll just repeat what Doug said: Fashion is not about utility. An accessory is merely a piece of iconography used to express individual identity. Amen. All is justified. I died and went to YSL heaven! My Givenchy luggage/duffle bag arrived! Previous Article← Perfect workout music! When Versace’s music used to be good!